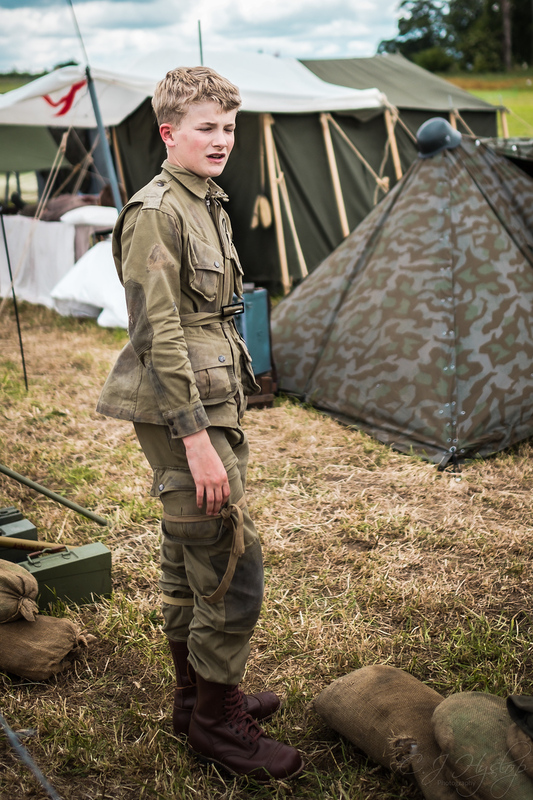 These are some more photo’s of re-enactors taking part in WW2 and their vehicles. 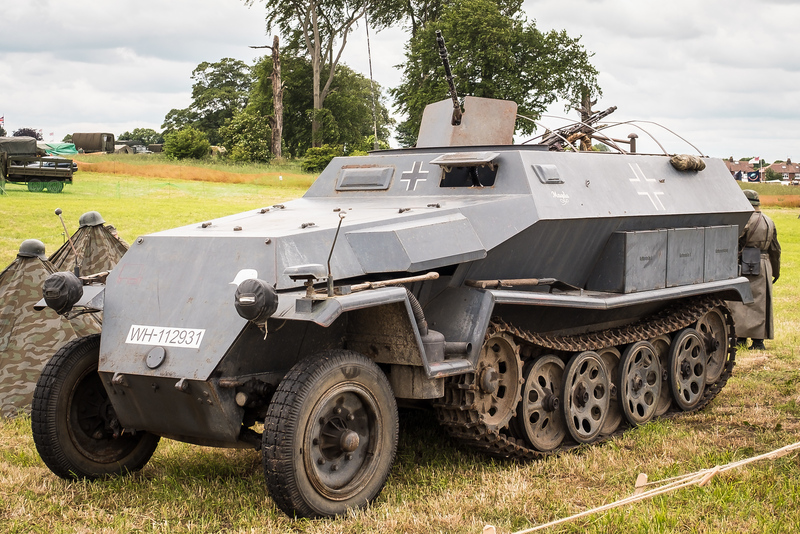 This vehicle is (acccording to Phil, who knows these things) a Hanomag SDKFZ 251 Ausf C. Called “Magda” she is a half-track armoured fighting vehicle built on an OT-810 chassis, badged to the Panzergrenadier Divison Großdeutschland. Designed and built by the Hanomag company during World War II. 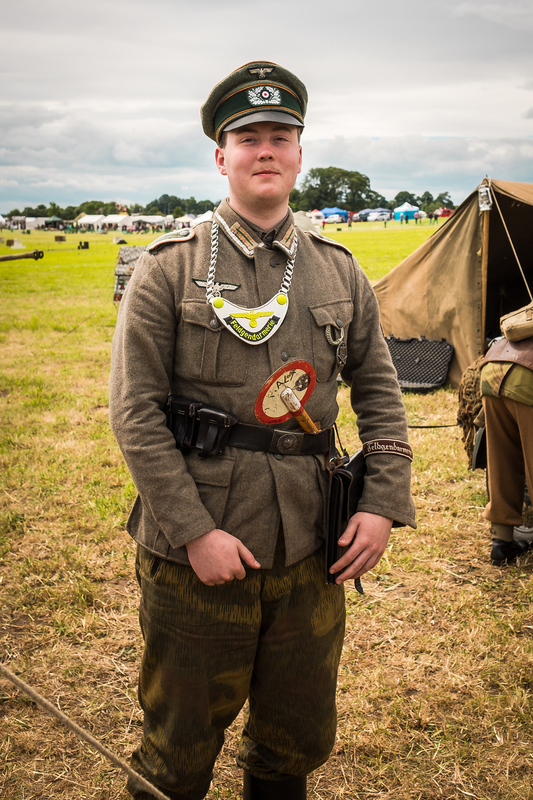 The concept was to allow panzergrenadiers to keep up with panzers and provide infantry support as required. In practice, there were never enough of them and most panzergrenadier units had to make do with trucks. 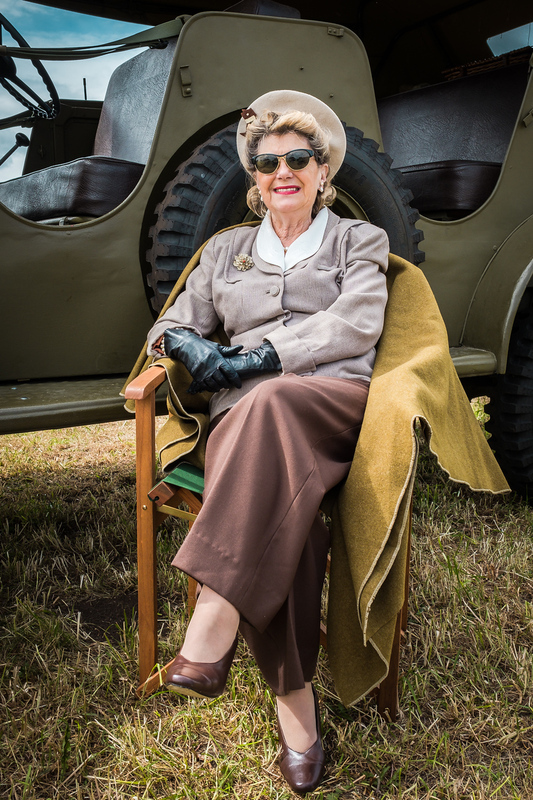 She was brought in by the Northern World War 2 Association, and I believe all the WW2 re-enactors belong to that. 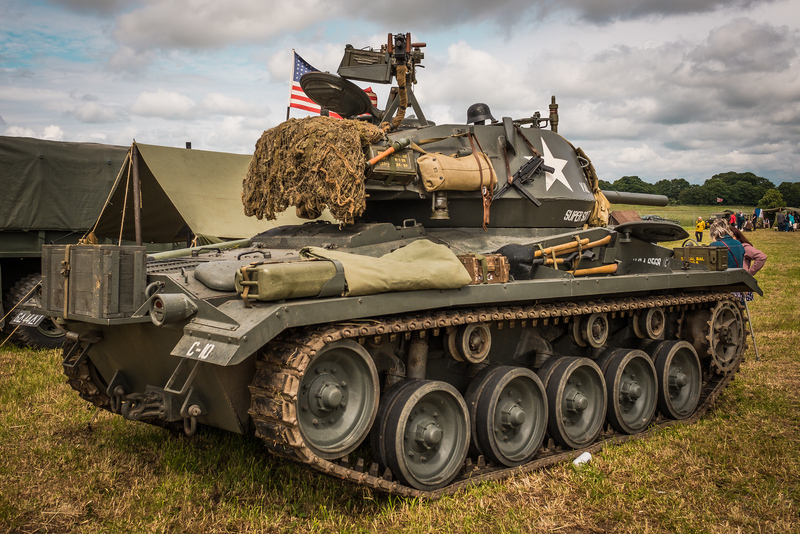 They also brought along an American M24 Chaffee Light Tank. This appeared during the latter stages of World War 2 and saw considerable service in the Korean War that followed. 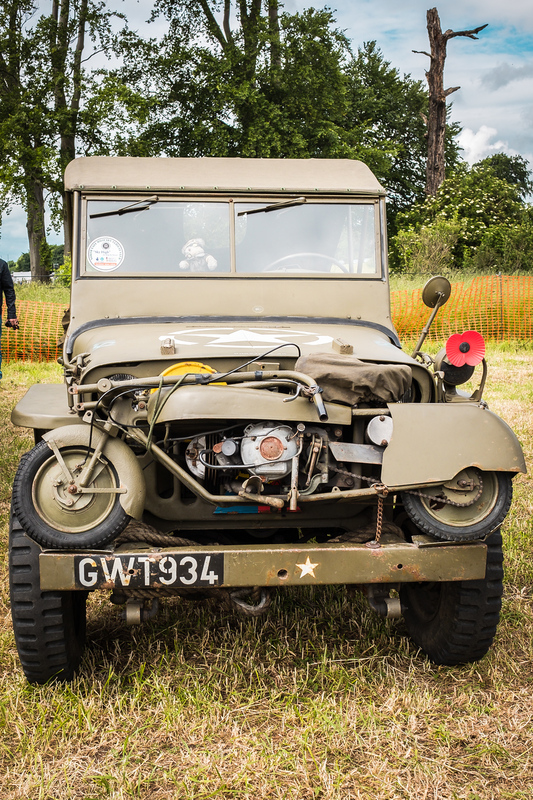 Not sure what type of jeep this is but I do like the motorbike fastened on the front. That’ll do for today, stay tooned for our finale next time, when they all go into battle. 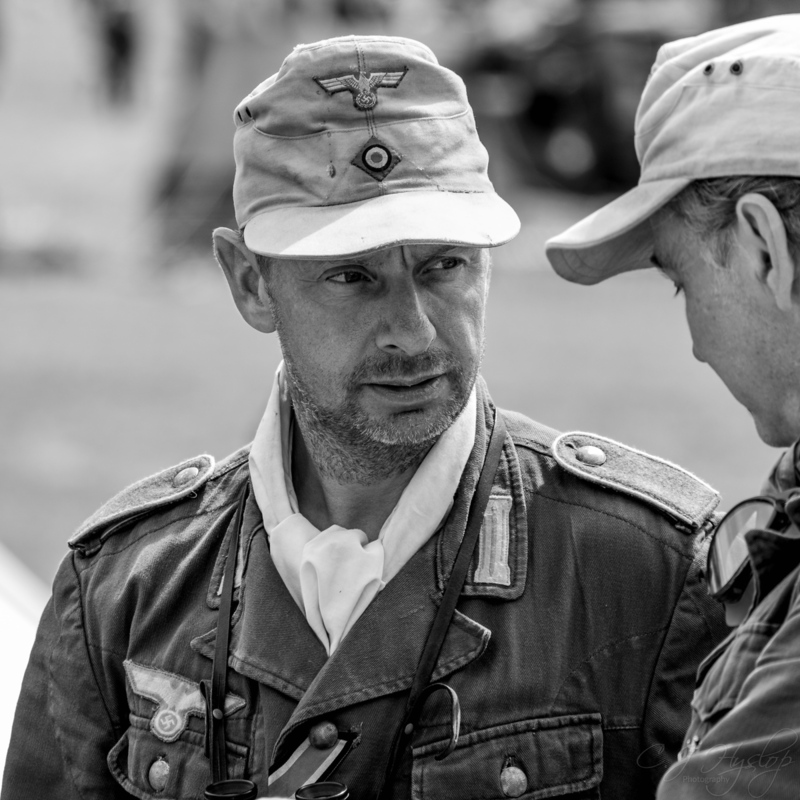 Posted in Adventures, Event, Fuji, FujiX-T2, people, photography, uncategorised, UncategorizedTagged adventure, B&W, fraggle, Frontline, FujiX-T2, June2018, photography, re-enactors, UKBookmark the permalink. 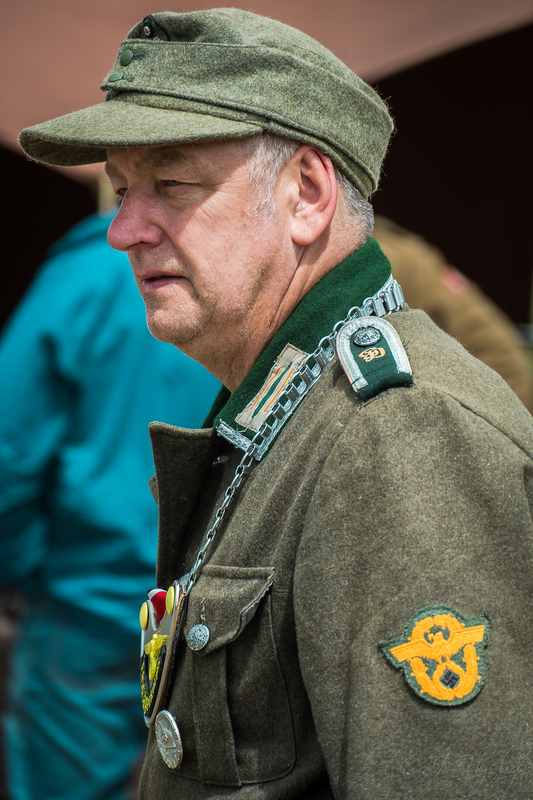 The ‘Germans’ looked very authentic. The man with the badge on a chain especially so. German soldiers in WW2 called the Feldgendarmerie ‘Chain Dogs’, because of those. Great shots as always. I saw a Chaffee tank at Muckleburgh Military Museum. I suspect Phil would like it there. Yes if it’s a museum with German armour he’s your man! Cheers Pete. Looks good, no German stuff that I can see but worth a visit I think! Can see a Norfolk weekend in my future haha. 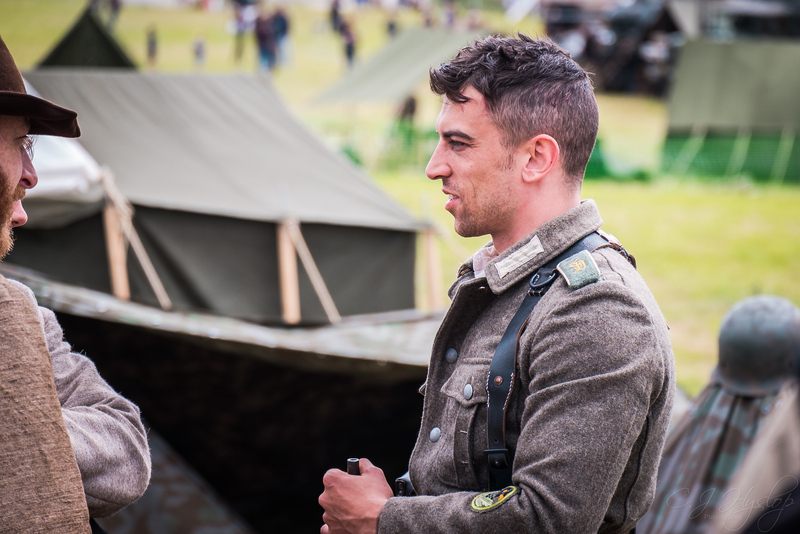 That picture of the medic: you are so right about him looking like he stepped straight out of a movie. Absolutely amazing photograph. Loved the vehicles as well! some hotties in your pics! Thought your Clive Owen was gorgeous and I wish I could have that ladies costume — the one who’s sitting with the black gloves. I am supposed to dress up (the History department) for Halloween. That’s what I’d chose to wear if I could only find a costume. You’d look fab I bet! I’m looking toward the next post for their deaths. Hehe just kidding, they actually look so realistic and convincing that it seems you are in an actual soon to be battlefield. 😊 it was quite spectacular! But everyone came back to life at the end. Can’t wait to see more of these pics – looks like a really good reenactment. 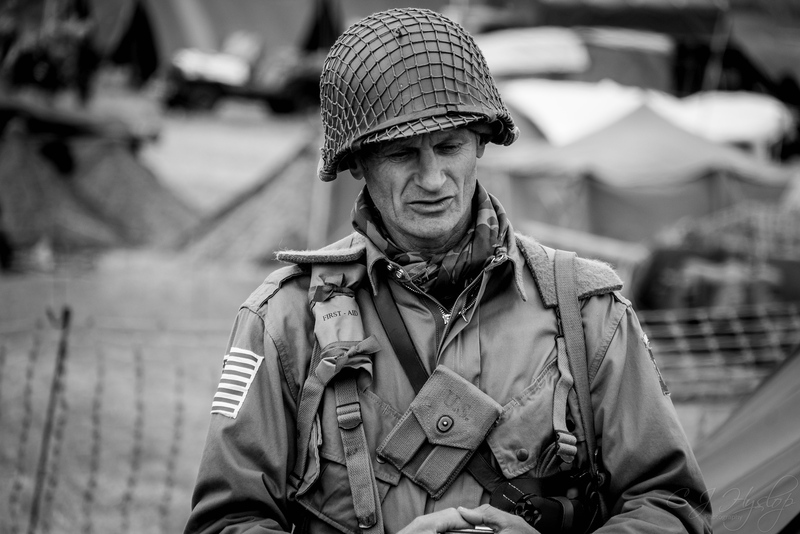 The Medic reminded me just a little of Ernie Pyle! Will have to google him! Love the black and white ones especially. Thanks, they work well I think. All the costumes really do look authentic, Fraggle. Your images are so sharp I can even see how itchy some of that fabric must be! These posts have been so fascinating for me. It’s a great series. Hugs. Thanks Teagan, am glad you’re enjoying them! You too! Hope you’ve got that splinter out! 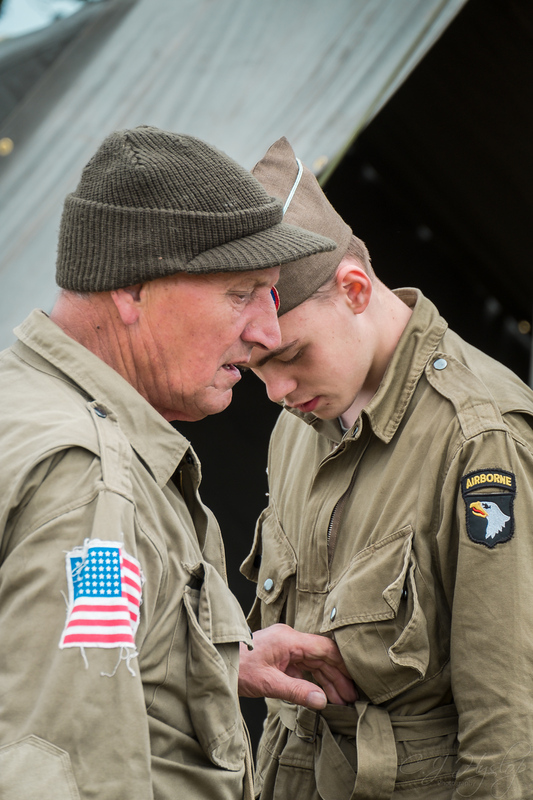 Looks like there was lots of nice old military hardware to snap at. 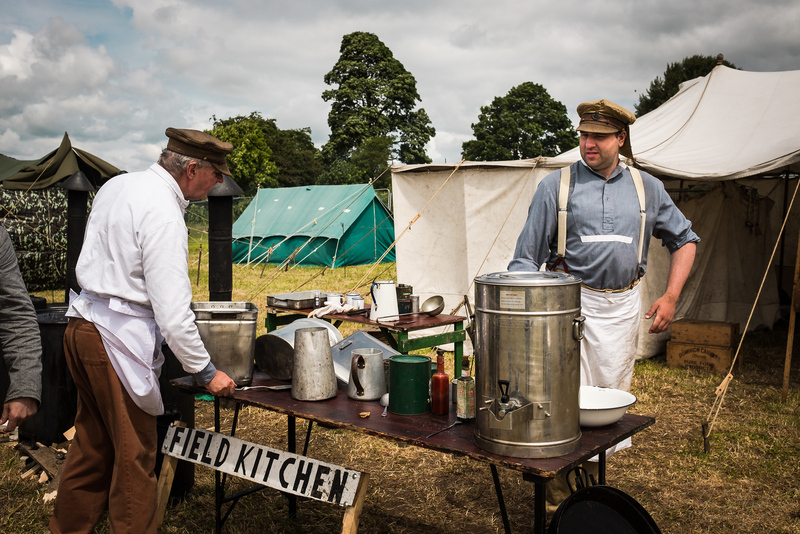 Also, is it me, or do old military uniforms look really itchy? Great shots.